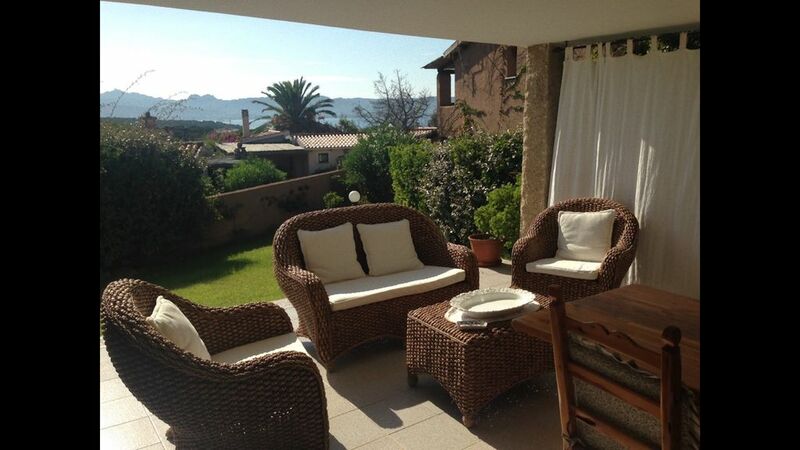 Independent villa with swimming pool and tennis court, 150 m from the beach. Two bedrooms, one with a double bed and one with two single beds, two bathrooms, kitchen, living room, large patio, garden and parking. Very quiet, ideal for families with children. Restaurants, bars, supermarkets, pharmacies, banks, shops, marina nearby. A 5 km from Porto Cervo. Follow signs to Costa Smeralda and then for Baia Sardinia. I prezzi possono variare in base alla durata del soggiorno.